PRICE - Rs199/- for 50ml. 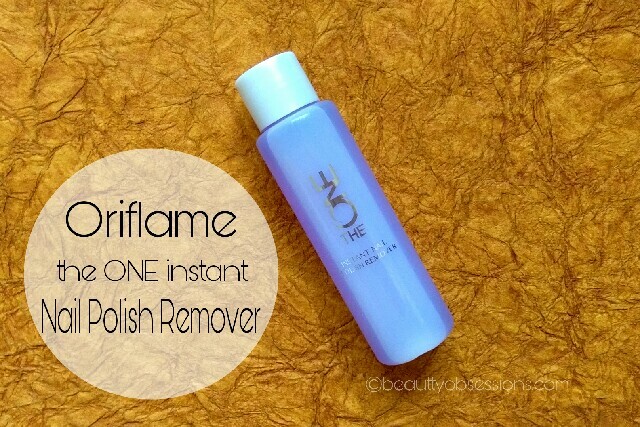 MY EXPERIENCE - The oriflame ONE nail polish remover comes in a transparent plastic bottle with a screw open cap... The size of the bottle is very opaque to carry in purse and on the other hand it is really sturdy. I don't like the heavy glass packaging like the lakme one.. 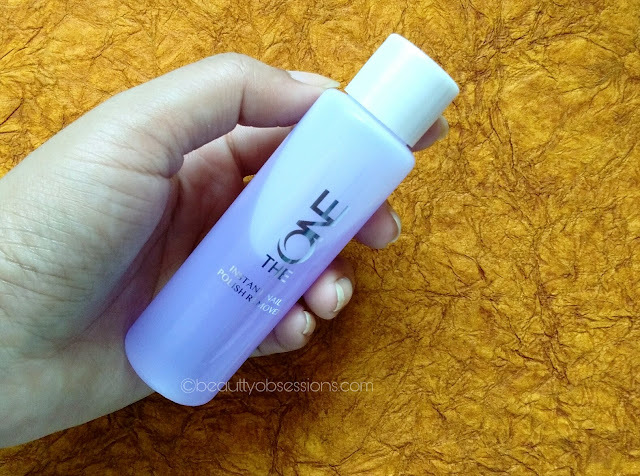 The remover is light purple in colour. It doesn't have very strong fragrance like some other nail polish removers available in market. I need 3-4 drops to remove my nail polish.. If there is any art or glitter on my nail ,then I need little more quantity to remove completely. It doesn't dry out my nails after removing nor I get any white cast on my nails. This oriflame nail remover is acetone free, toluene free and other harm chemical free which generally reduce the quality of nails. I usually apply a nail serum (Review will come next) after removing nail polishes with this remover .This is very effective in removing darker shades as well and I love how quickly it cleans up my nails without any residue behind.. I really hate wat nail polish removers do to my nails... this looks great! Will try this one.. Try it, you will fall in love with it... Thank you dear for visiting.. 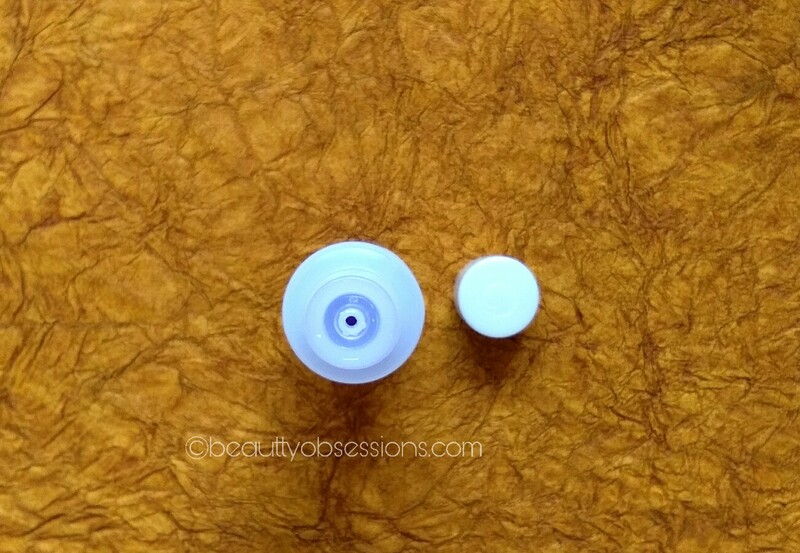 I use it too and am very happy with the remover. Same here Shreemayee... Thank you for stopping by.. Try it and I am sure you will like it.. I'm eyeing on this product so long but never use it. Now you give a reason to give it a try.lovey write up. Thank you dear... Get it... You will love it for sure..
Oriflame is one of my all-time fav brand. Love their products. I have this product ,I like it but its not my fav.